Cityland Group, the company behind the Dubai Miracle Garden and Dubai Butterfly Garden, has revealed more details of its upcoming nature-inspired shopping mall. At the heart of the US$300 million Cityland Mall, which is scheduled for launch in the second quarter of 2018, will be Central Park, a 200,000-square-foot open-air garden. It will feature several attractions such as a scaled-down version of Miracle Garden, a children’s water park, a 300-year-old ancient tree garden, Japanese garden, a rooftop garden and a cluster of restaurants and cafés. A 3,000-seat ampitheatre will provide a platform for performing arts throughout the year and “foster a culture of community in an inspired atmosphere”, a company statement said. The park will be able to accommodate up to 7,000 visitors at a time and will also feature a fitness club, Cityland Group added. 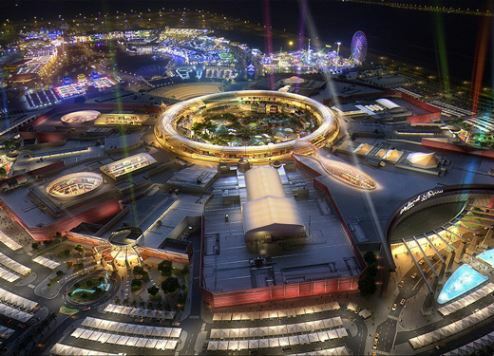 Cityland Mall will be connected to Global Village and offer 1.13 million square feet of leasable space. An annual footfall of up to 12 million visitors is anticipated. Cityland Group CEO Fahimuddin Sharfuddin said: “When we laid the plans for Cityland Mall, the Central Park was conceived as a fresh proposition to guide the mall’s philosophy, objectives and vision for shopping complexes in the country. He said a rooftop garden would offer al fresco dining options while plans are afoot for choreographed light shows at night. Designers are also planning a 500-metre circular running path, positioning the mall as an ultimate lifestyle space where retail satisfaction blends with health and wellness.